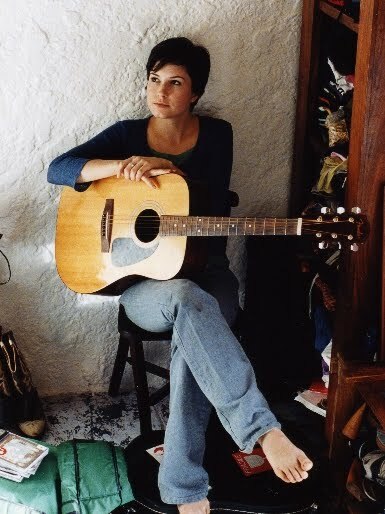 The Australian-born singer Missy Higgins, who first took to the piano at the age of 6, has discovered a new instrument to write songs: the guitar. “I usually sit down at the piano when I'm feeling somber and I feel like writing a ballad, and I usually pick up the guitar when I want to write something a bit more angst-ridden because you tend to write with rhythm when writing on a guitar,” said Higgins. The Melbourne native actually wrote most of the songs for the new album while on the road in support of “The Sound of White” and had only the portable guitar to express her musical ideas. Higgins, 24, has had much success in her homeland where “The Sound of White” was Australia's best-selling album in 2005. In her earlier days, Higgins took a break from the piano for the guitar over a period of a few years and joined her older brother's band around the age 13. She won a national songwriting contest sponsored by a local alternative radio station while still in high school. Two years later, following a backpacking trip in Europe, Higgins put out an EP that shot up the indie music charts in 2003. The Los Angeles independent station KCRW got a hold of her music and began playing it, which led to a record deal in the States. By 2005, Higgins was touring America and the United Kingdom, opening for Ray Lamontagne, the Finn Brothers and Howie Day. By September 2006, Higgins was working with producer Mitchell Froom - known for his work with Elvis Costello, Crowded House and Paul McCartney - in his Los Angeles studio. One result of the new record is the varying textures of sound due to Higgins' interest in experimenting with new instruments.